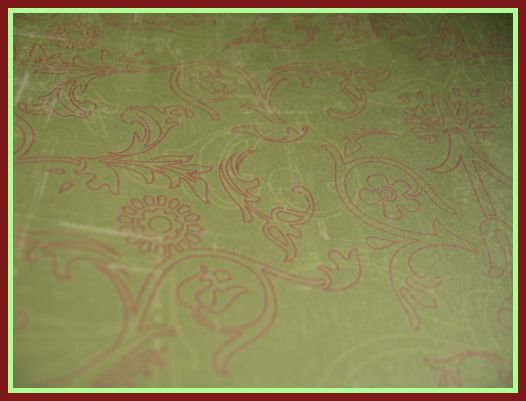 Green Strip across the middle of the card is Bazzill Cardstock in a kinda lime greeney colour. 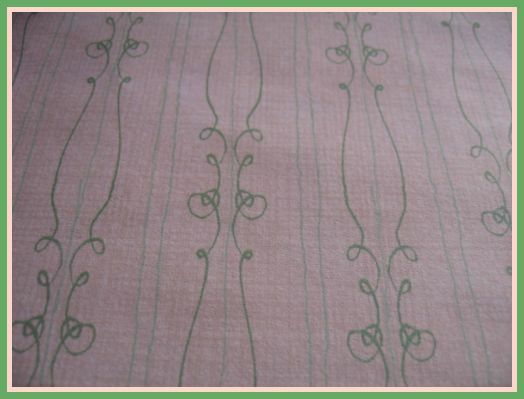 Fuschia Pink ribbon (thats I bought at the weekend) and the light pink ribbon is American Crafts Elements. Then the Penny Black Stamp “Evening Glow” painted in with watercolour paints and her golden hair is a gold sparkling h2o’s paint pot. I have been making cards again tonight, The card above was out of the same set as the Jack in the box card I made the other week. 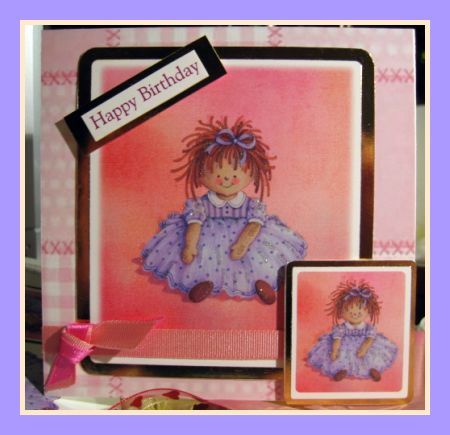 I like the way this one turned out and I used some of the ribbon that I bought at the wekend 🙂 The pink patchwork backing paper came in the kit, as did the dolly toppers. 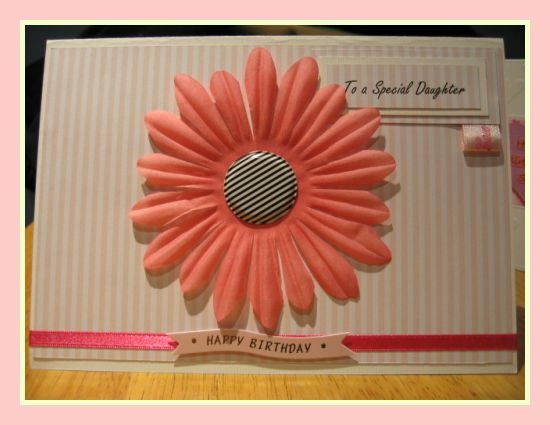 This card was an order for someone at works granddaughter who will be 2. After being tagged by MudRanch the other day, we discovered something that we have in common…. 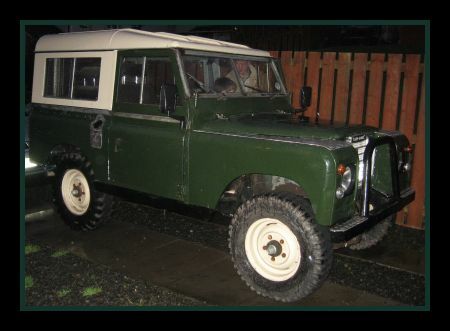 Landies!! 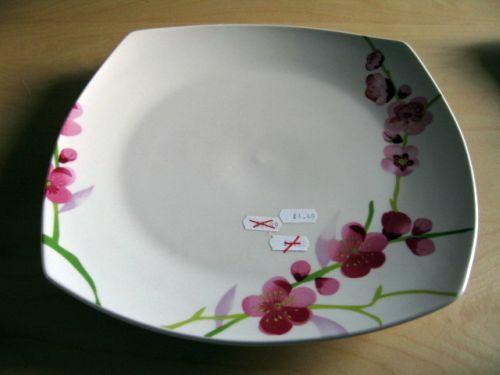 I had a couple of things in mind, ribbons for my cardmaking (they have a dressmaking dept), and some new dinner plates to replace the ones that have been chipped thro the dishwasher. 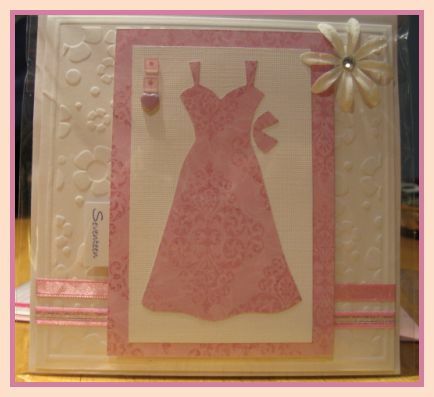 In their dressmaking department they have started selling card making stuff (yay!.. cue me being like a kid in a sweetie shop!). 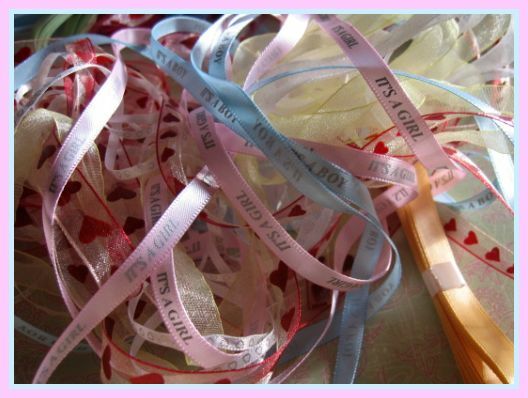 I bought some, well quite a few, different types of ribbon, some 12 x 12 backing papers and a pack of 3 acryllic blocks, for when my new sugar nellie stamps arrive next week (fingers crossed). 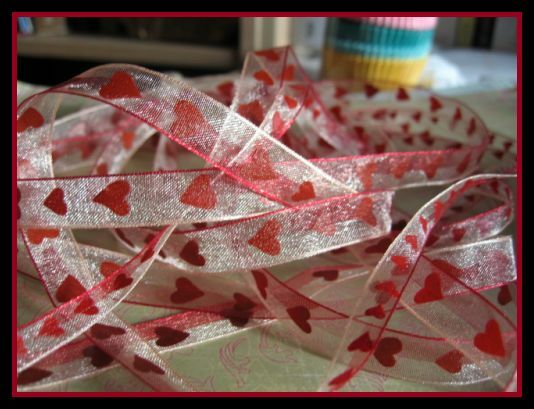 Here are some of the ribbons that I bought, I just love the heart ribbon, I bought 2 different widths of this it will make some really nice valentine cards with those :). 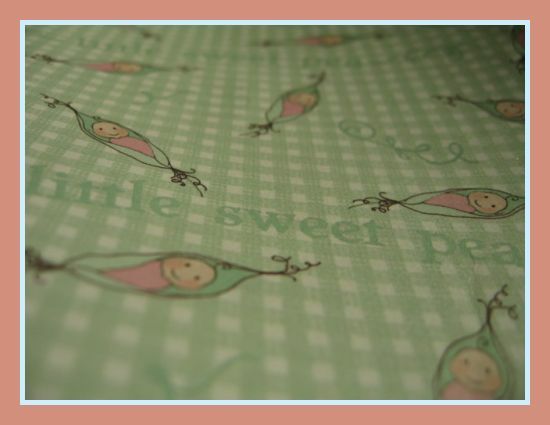 And here are the 12 x 12 papers I bought… I really love the little sweet pea paper its just soooo cute! 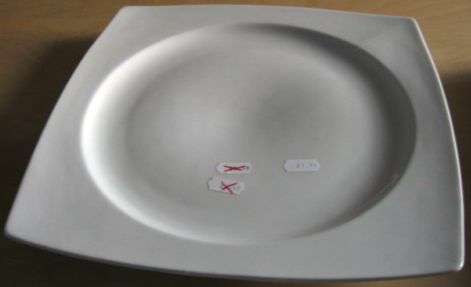 I got a serious bargin with the plates, they were reduced in the sale, plus I got an even bigger bargin with these other plates I bought, they only had 2 left so I bought them both lol, they will be great for putting my homemade cakes on when we have visitors. Once you are tagged, link back to the person who tagged you. 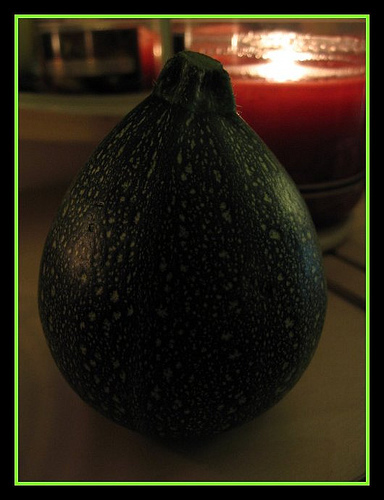 Post 7 random or weird facts about yourself on your blog. Tag 7 people and link to them. 7 Weird/Random Things About ME! Like Joan on Mud Ranch I love to torment the life out of my cats with cat toys, especially the fishing rod type ones with the featherd toys attached to the end as bait! (great exercise for hovis our Birman house cat). I love to cook all our food from scratch. I’m a bit of a soft touch where animals and people are concerend an like to look after and care for things…. even since I was a wee girl, I used to bring home all the waifs and strays. 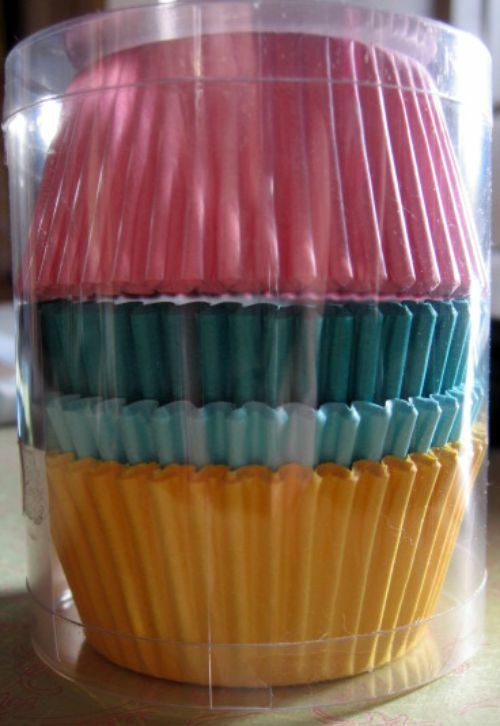 ok… here goes…. the people that I wish to pass this tag onto are…. 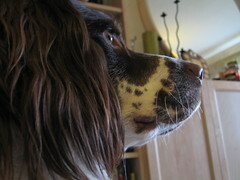 I took this picture this afternoon of my gorgeous Springer Spaniel boy. 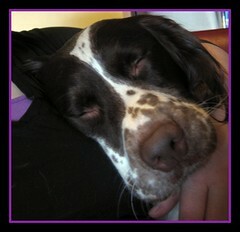 He then settled in for a cuddle and a wee kip on the chair beside me. We’ve had a Busy Saturday! I got up this morning and compiled a list of all the jobs that we needed to attend to today, it mounted to a fair few! First job on the list was to head off round to the local pet shop and bought sawdust, straw, hay, Dog & Cat food and cat litter. Once I came home, I headed up to the top of the garden, where the rabbits reside and set about cleaning them out.. first to get her hutch spruced up was tweed our little grey netherland dwarf rabbit, she’s a lovely wee thing, she’s got a great personality, and she is cheeky! She likes nothing better than to grunt at you for the inconvenience of having to move whilst you clean her hutch out, and if she isnt grunting, she is trying to box you with her front paws lol. We got tweed as a wee rescue bunny from the New Ark Aminal Rescue Centre in Ellon, Aberdeenshire. Next to get cleaned out was Harry, we got him from the New Ark, at the same time as Tweed. Harry is a bit like a dutch rabbit, he’s a light browney colour with the white banding across his shoulders. He is an absolute gentleman and very calm and placid. Once I had finished cleaning them out, they both got a wee cuddle, fresh food, water, fresh carrots and cabbage leaves. 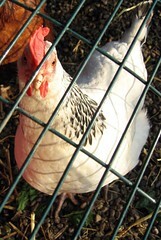 Next job on the agenda was the chickens. I set about cleaning out the Eglu, I let the girls out for a wander round the garden whilst I was doing it. Eglu’s are soooo easy to clean out, so it took me no time at all… fresh wood shavings, assembled the eglu, topped up their glug and grub bowls… all done. Next was the cat litter trays, we have one indooors and one in Jerry’s shed/Run. After all that I got cleaned up and headed out to see Nancy at the Farm Shop with my daughter. This week we bought..
After the farm shop, we had an appointment at the beauticians to get our eyebrows waxed, then it was into the car and driving back home. When we arrived back home, I put away all the veggies/fruit and started to make the tea.. homemade lasagne from scratch :o) and boy was it good (yum) and because I made a huge big dish of it there is enough left for tomorrow too… you just cant beat second day lasagne. 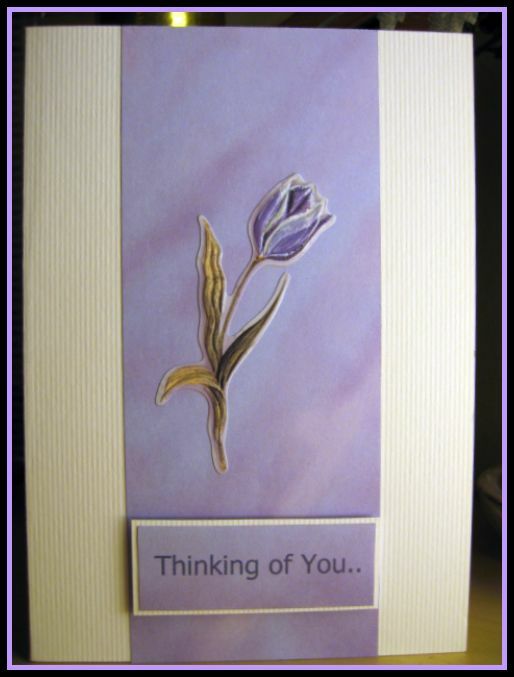 Sympathy Cards ~ Thinking of You.. 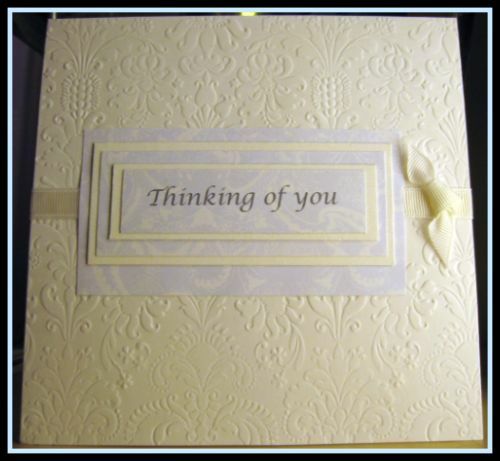 I have been making cards again tonight…I was given an order today at work for a sympathy card, my colleague wanted something simple with the wording “thinking of you” on the front. The first card is a pre-embossed DCWV card and I used white ribbon and a layered sentiment using joanna sheen backing paper and card. The second card, uses lovely backing paper in a column down the centre with a stick-on flower, and the sentiment just layered a wee bit at the bottom of the card. I like the way these 2 have turned out, plus it will give my colleague a choice. 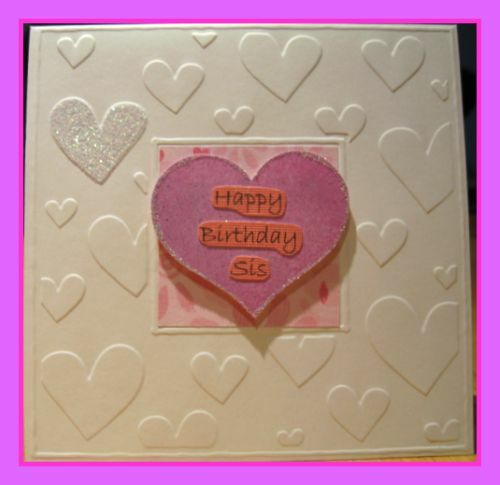 The first card was made using a heidi swapp large material flower and a padded button centre, matching self adhesive pink ribbon and pale pink striped backing paper, the sentiment was made using by layering white card with the pink backing paper, the silky pink ribbon tab at the bottom have the wording “love” on it. The second card was made using a DCWV heart card, I sprinkled one of the hearts with pee-wee glitter. Floral backing paper, then a pinky/purple heart cut out with my cricut machine and the happy birthday sis lettering printed out onto bazzil paper and cut out to fit. 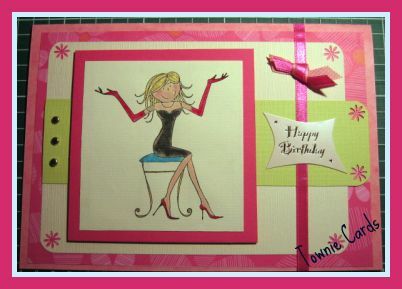 The third card is very similar to the one I made the other night which is also featureed within my blog, titled sweet sixteen. That card was made for someone at work, whilst I was delivering it someone else who was in the same office loved the card and ordered one for her niece’s 17th birthday.. so its of a similar design and papers, the only difference being the ribbons are slightly different, I changed the tab to read “Seventeen” and I added a heart shaped brad. This picture was taken for my flickr group 7 Days of Shooting – Its Week #27 – and the theme for this week is Fences & Railings, with today being Macro and Close Up Monday.